First responder science is always evolving. 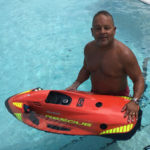 Lifeguard Services CPR, BLS, and First Aid courses are designed to keep pace with the latest innovations and techniques. 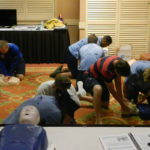 Our cartopuminary resuscitation or CPR, basic life support or BLS, and First Aid courses provide staff training for two class types of CPR certification. These include the American Heart Association CPR (AHA) and the American Red Cross CPR (ARC) programs with First Aid. 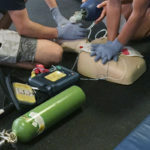 Lifeguard Services’ Staff CPR and First Aid Certification courses provide an affordable option for training your first responder staff, office medical personnel, and other employees in safety-minded businesses. We provide an in-house level of training with objective instruction for each staff member. Lifeguard Services arrives at your place of business with everything needed for an informative, concise, and effective staff training event. It is a turnkey event designed for effectiveness and economy. Firms can select which training, AHA or ARC, works best for them. 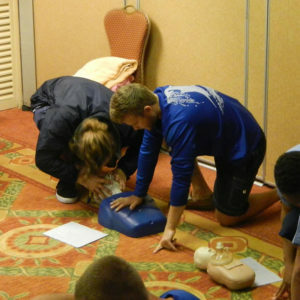 Lifeguard Services provides CPR and First Aid from both the AHA or ARC, such as CPR for the Professional Rescuer or Heartsaver CPR and First Aid. We also provide Safety Training for Swim Coaches and CPR for the Lay Responder. Basic life support training is also supported for medical office personnel. Hands-on training is the best way to learn CPR and BLS. Online testing is great for testing, but an actual emergency cardiovascular care will not be a written test. It will be a stressful, physical event for the rescuer. 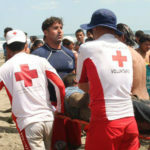 Lifeguard Services will push your staff with realistic training scenarios and lively discussion. Your staff will be challenged, and generally will remember the stress from the scenarios and be better equipped to handle a real-life CPR/BLS emergency. Most CPR/BLS is performed with minimal equipment. This does not mean equipment is not available. 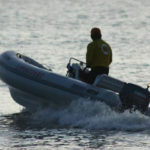 Lifeguard Services stresses the use of equipment such as an Automated External Defibrillator (AED) to assist any rescuer. AED systems provide an electric shock to the victim in order to restart a heart. AED training is an important advanced skill for CPR/BLS and a key training area for Lifeguard Services. While providing a victim immediate care during and after a heart attack is critical for their ongoing survival, CPR rescue is not the only issue a rescuer will encounter. 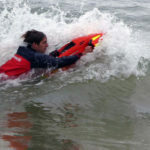 Lifeguard Services provides AHA and ARC first aid training for staff members interested in a well-rounded rescue skillset. First aid training covers everything from simple cuts and bruises to lacerations, blood management, and trauma. As with CPR/ALS training, Lifeguard Services’ first aid training program involves typical hands-on scenarios an individual may encounter. All materials needed for the scenarios are provided with the course. Scenarios reinforce lecture and help with staff memory and retention of the information. BLS renewal or CPR recertification is a necessary aspect of on-going training. Resuscitation and rescue science is always evolving. AHA and ARC desire certificate holders who keep their skills sharp and keep them up-to-date with the latest knowledge in emergency care. Lifeguard Services provides staff recertification courses that comply with the latest research, recommendations, and training. AHA and ARC CPR/BLS certification is good for two years before the need to renew. BLS for the Healthcare Provider- An American Heart Association two year certification that can be renewed. BLS for the Healthcare Provider – An American Red Cross two year certification that can be renewed. CPR/AED Certification – An American Red Cross two year certification that can be renewed. CPR for the Lay Responder – An American Red Cross two year certification that can be renewed. CPR for the Professional Rescuer – An American Red Cross two year certification that can be renewed. Family & Friends® CPR – An American Heart Association two year certification that can be renewed. Heartsaver® CPR AED – An American Heart Association two year certification that can be renewed. Heartsaver® First Aid CPR AED – An American Heart Association two year certification that can be renewed. First Aid Certification – An American Red Cross two year certification that can be renewed. Safety Training for Swim Coaches – An American Red Cross two year certification that can be renewed. 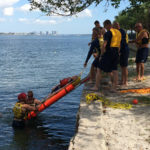 Lifeguard Services is your “Best friend in the water.” We have over 20 years of experience in water rescue training providing access to a nationally Certified Swift and Flood Water instructor and a lifeguarding instructor. Our staff always arrive uniformed, equipped, and trained to the highest standards. Please call us during normal working hours at 561-641-2855 or use our Inquiry Form anytime. © 2019 Lifeguard Services. All rights reserved.